Taken from BBC documentary series Time, which was hosted by theoretical physicist Michio Kaku and explored the concept of time and how we perceive it, this clip shows the effects of marijuana and cocaine on two lab rats. In this episode they investigate how time can slow down or speed up, for instance they show previously how when someone's adrenaline is pumping time can slow down for them. So in this experiment scientists are looking at whether drugs such as cocaine and marijuana can have similar effects on rats. And it turns out that, yes, the perception of the flow of time does appear to change for rats who have ingested mind-altering chemicals, as it does for us humans. The experiment involves rats who have been trained to measure time precisely by pressing a lever after a certain time period, 12 seconds, which then delivers food pellets to them. Done too early or too late, they get nothing. Once trained they then give three rats three different substances. 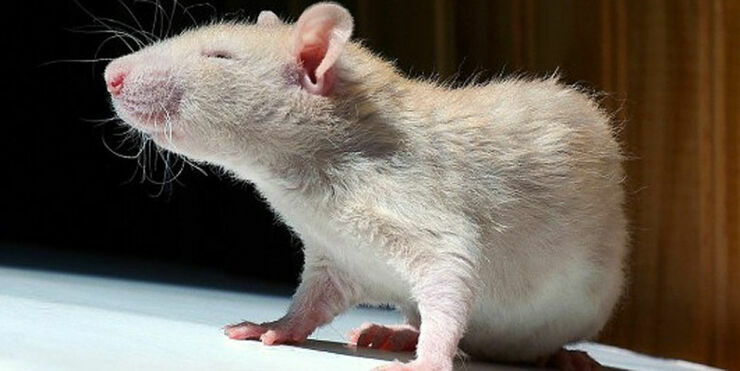 The test rat gets saline, another gets cocaine, while another marijuana. The test rat pulls the lever after 12 seconds as it's been trained to do and gets its food. Next comes the cocaine rat—along with a change of tempo in the doc's music soundtrack—and of course the impatient fiend presses it after only eight seconds. He gets nadda. Then along comes the stoned rat, who is probably desperate for some food, but being completely chonged forgets about it and presses it after 16 seconds. No munchies for him. The conclusion: if you want to keep accurate time-keeping, drink some saline.